Sandwell and West Birmingham Hospitals (SWBH) NHS Trust will be celebrating all three of its hospitals reaching significant historical anniversaries in 2014. To prepare for the celebrations the Trust invites the public to step back in time and join them on a journey through the history of Sandwell and West Birmingham Hospitals NHS Trust, exploring the decades from the 1880s to the present date and sharing quotes, poems and tales from those that helped bring these buildings to life. Many things may have changed in the 130 years of Sandwell Hospital, 125 years of City Hospital and 20 years of Rowley Regis Hospital but one thing remains the same, the commitment to patient care and good healthcare. 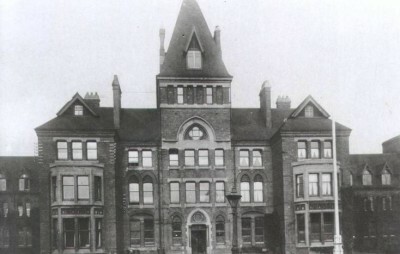 Not only will the event delve into the history of the hospitals and the workhouses from which both City and Sandwell hospitals where born, the Trust is also inviting members of the public to share their memories of the hospitals and suggest ideas for the historical celebrations due to take place next year. The history event will also feature a special presentation from Mr Arijit Mitra, Consultant Ophthalmologist on the history of the Birmingham and Midland Eye Centre dating back to 1824. The event will be held on Thursday August 1st 2013 from 6pm in the Anne Gibson Board Room at City Hospital. A similar event will be hosted again later in the year at Sandwell Hospital. To RSVP to attend this event please contact Abigail Parkin on tel no: 0121 507 5303 or email: swbh.comms@nhs.net. If you are unable to attend and would like to find out more about our Trust’s history and/or share your memories with us you can visit our history pages at: www.swbhengage.com/featured/history.